2 Bdrm 1st flr Executive flat. Hall. Lounge/Dining kitch on semi-open plan. 2 Bdrms. 1 with ensuite shower rm. Bathrm. Shared use of residents lounge (CT band - E). Parking. 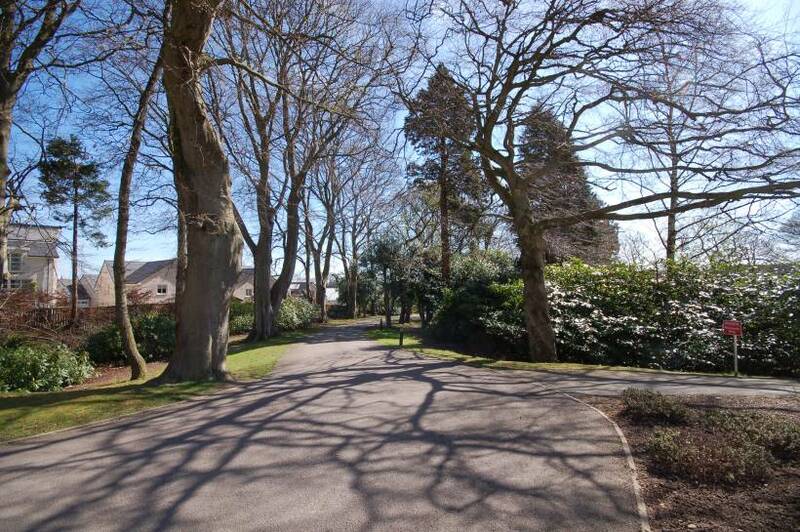 Fixed price £239,995 Entry by arr. Viewing Mr Morrison 07771 943 213. (EPC band - C). 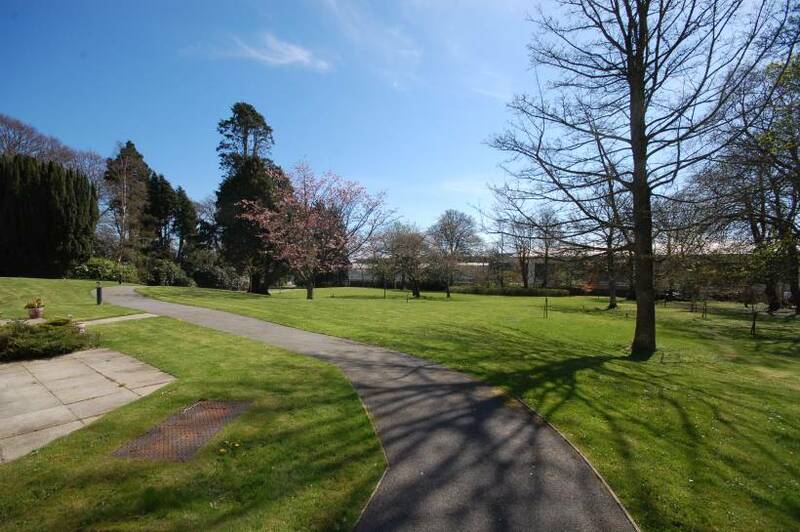 We are pleased to offer for sale this Executive Two Bedroom First Floor Apartment. 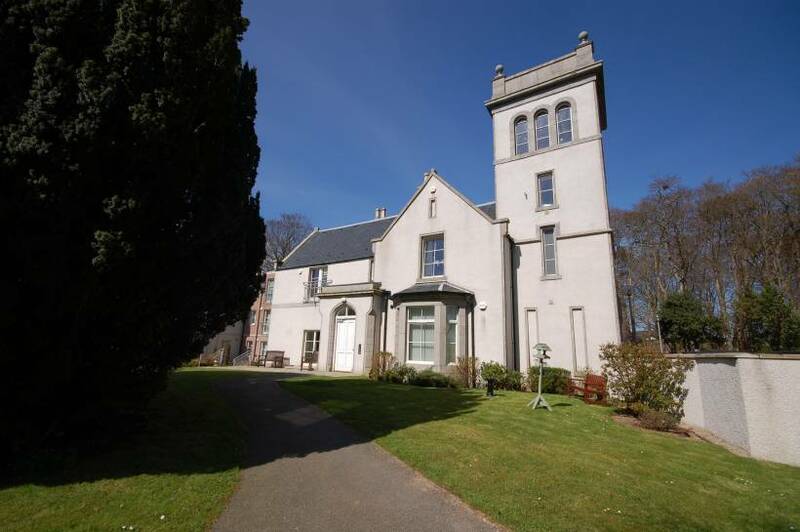 located within mature woodland landscaped garden grounds forming part of Airyhall House, which is a more exclusive development at Pitfodels for the over 55’s, This property forms part of the original building and enjoys traditional features including high ceilings and is stylishly decorated in a contemporary way and finished to a high standard. The comfortable living accommodation includes a welcoming Entrance Hallway providing access to all other accommodation, a bright Lounge with large bay window overlooking the landscaped gardens, a modern fitted Dining Kitchen with integrated appliances, a Master Bedroom with an En Suite Shower Room and patio doors, a further Double Bedroom and a Family Bathroom which is fitted with a white suite. 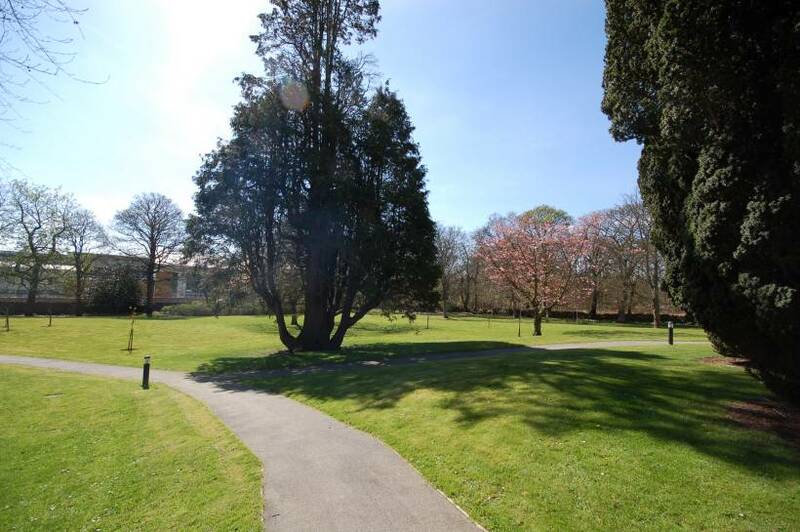 The property benefits from the modern conveniences of Gas Central Heating, Double Glazing and is protected by a security entry and alarm system. There is a shared cupboard providing additional storage accessed from the well maintained communal hallway providing extra storage. 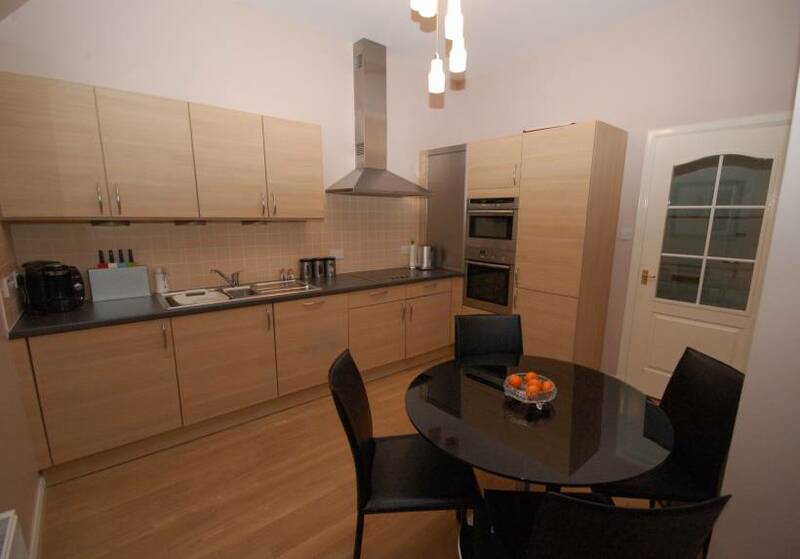 There are also shared residents Lounge, Dining Area and fully fitted Kitchen and Cloakroom to add to the enjoyment. 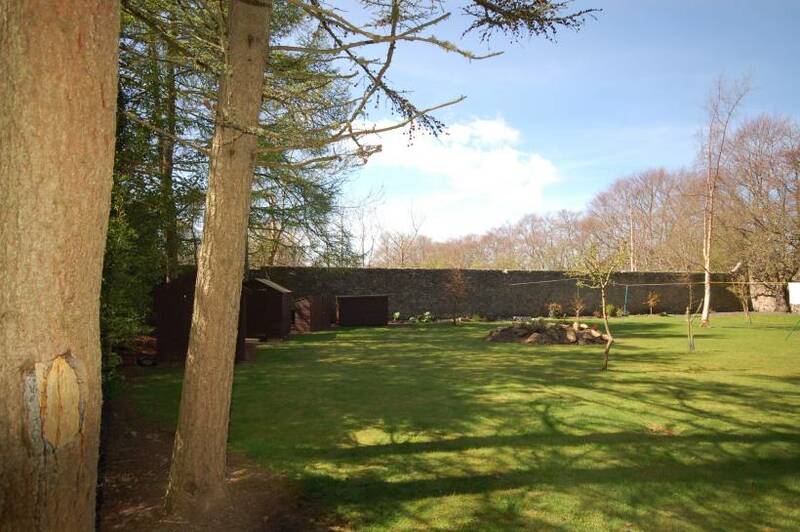 The landscaped garden grounds are secluded and south facing and extend to approximately 4.5 acres all well stocked with mature plants, shrubs and trees with a large walled garden area to the rear, There are some shared sheds which house garden furniture and a BBQ which is available for all residents to use. 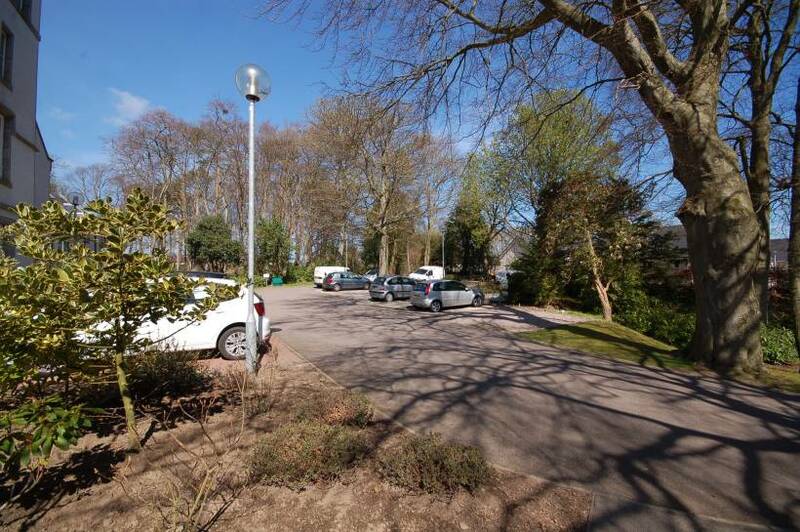 There is also a residents car park which has an exclusive space which pertains to the property with additional parking for visitors. Included in the sale price are all floor coverings; curtains; blinds and light fittings. 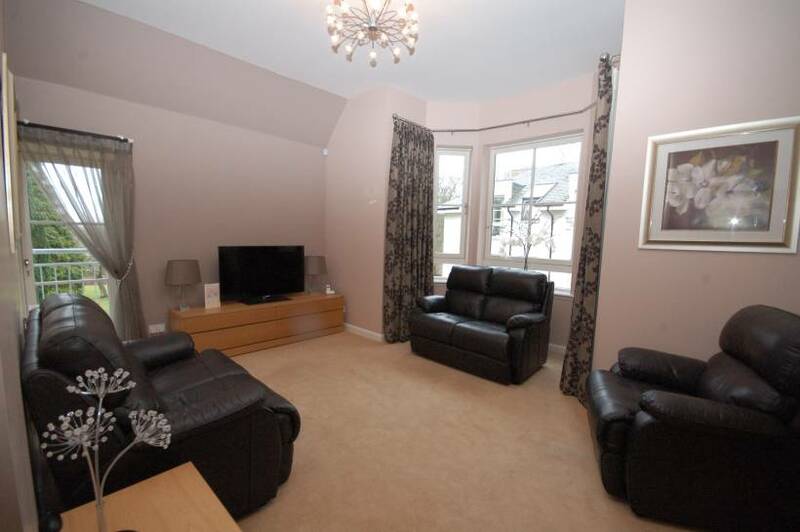 The two sofas and single chair in the Lounge, together with the Dining Table and chairs in the Kitchen and the wardrobe and chest of drawers in Bedroom 2 are all available by separate negotiation. 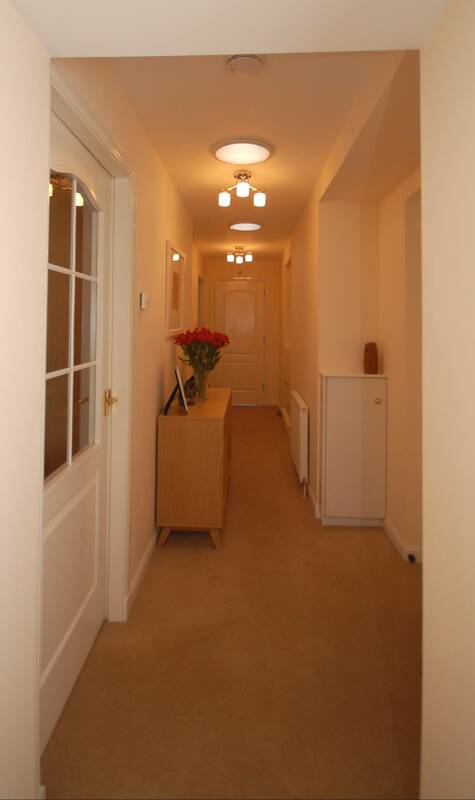 Entrance Hallway: Accessed from the communal hallway the Entrance Hallway leads to all internal accommodation; cupboard housing the boiler benefitting from lighting; small electric cupboard; further low level storage cupboard set in alcove; security handset system; security alarm pad. Carpet. 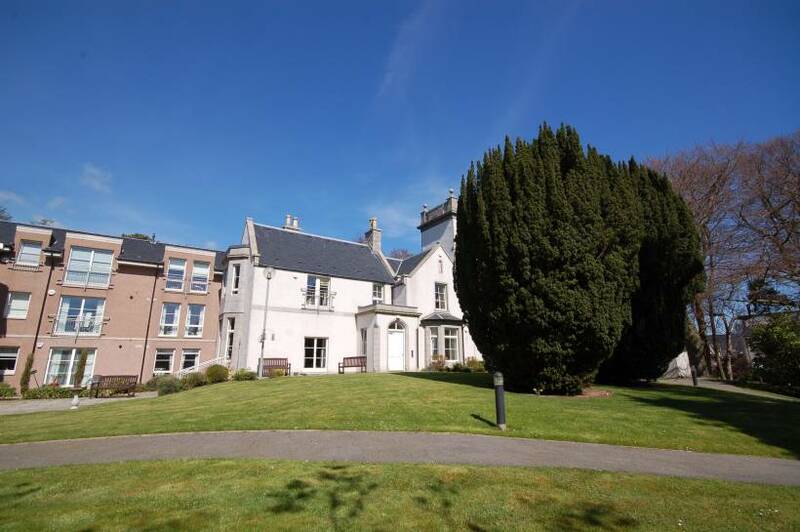 Lounge: (16’10 x 14’4 approx) Bright, main public room featuring a bay window which overlooks the landscaped garden and south facing door leading to false balcony allowing an abundance of natural light in to the room. Carpet; radiator; telephone point; television point; sky point. Archway leading to the Dining Kitchen. 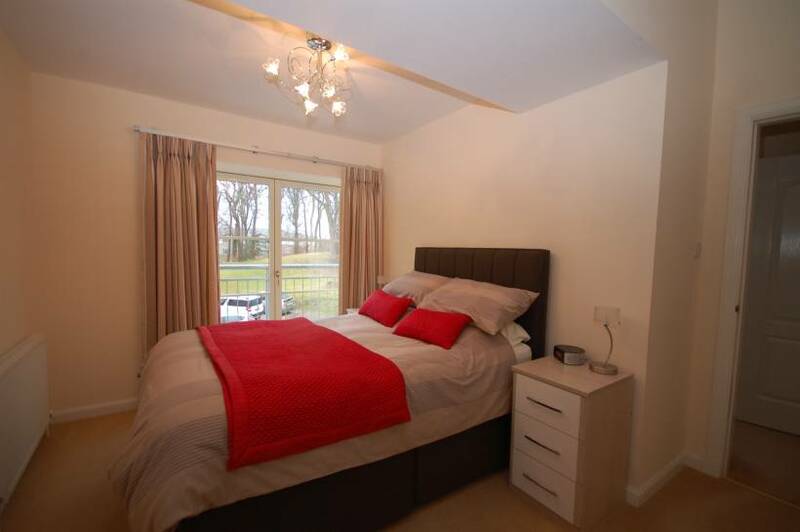 Master Bedroom with En Suite: (12’6 x 11’8 approx) Well proportioned Master Bedroom featuring patio doors and enjoying aspect to the rear of the property. 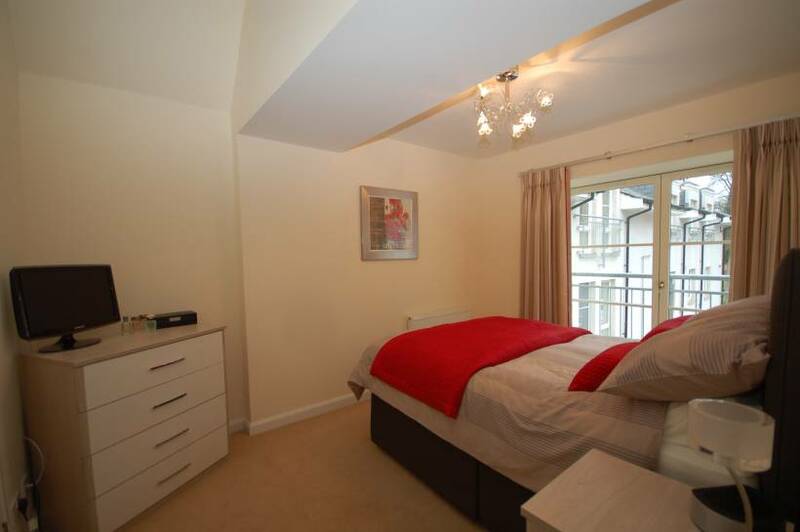 Built in wardrobe with sliding wooden doors; carpet; radiator and television point. 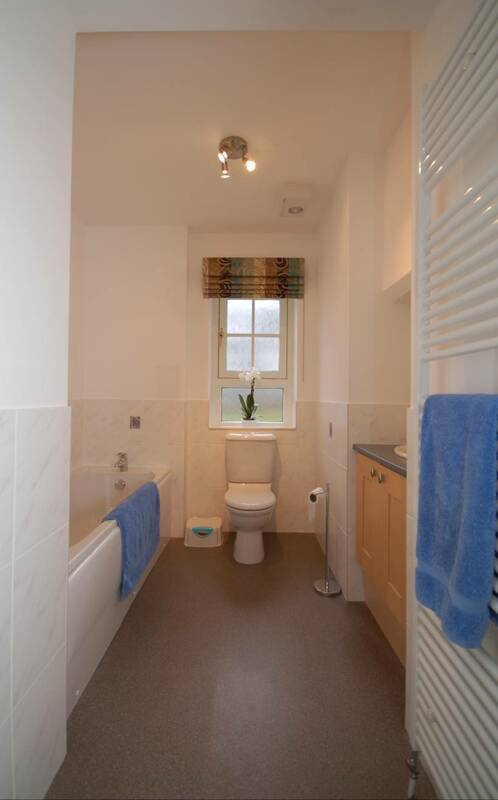 The En Suite off is fitted with white w.c; wash hand basin and corner shower cubicle with splash back tiling; shaver socket; vinly flooring; radiator and extractor fan. Bedroom 2: (11’1 x 7’11 approx) South facing Double Bedroom again with patio doors. Carpet; Radiator. 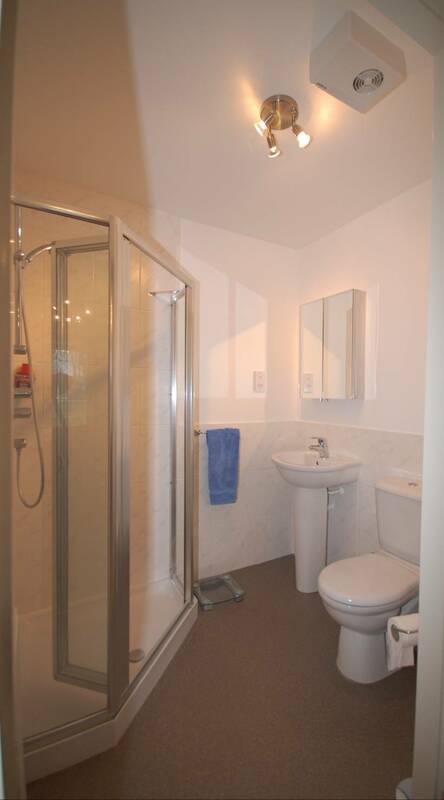 Bathroom: Modern white three piece suite comprising w.c; wash hand basin set in vanity unit and bath; attractive wall tiles to dado height; heated towel rail; extractor fan; shaver socket; frosted window and vinyl flooring. OUTSIDE Exclusive parking space. Attractive communal grounds. A formal factoring arrangement is in place for the upkeep of the building. DIRECTIONS From the west end of Union Street turn into Holburn Street. At the traffic lights turn right into Great Western Road and continue straight ahead on to North Deeside Road. At the traffic lights with Springfield Road continue straight ahead and take the first right into Northcote Road and continue in to Airyhall Road; Airyhall House is located on the right hand side.